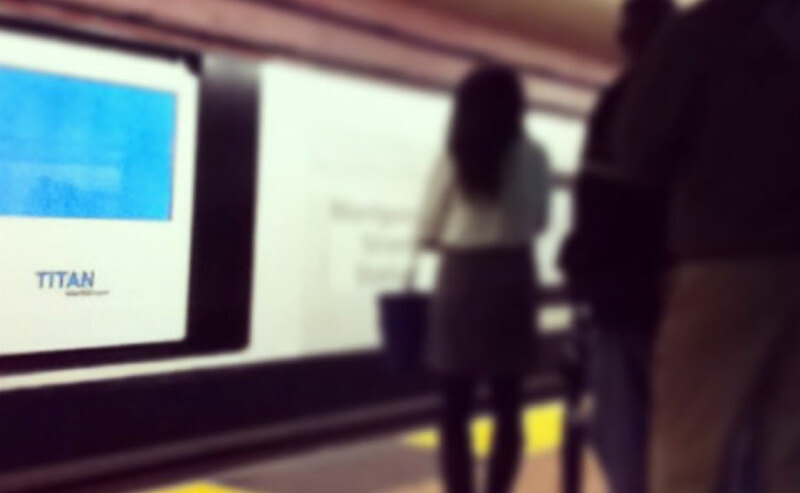 Digital billboards will likely appear at BART platforms in downtown San Francisco — and possibly throughout the entire region. Absent public opposition, BART riders should expect to see digital images that change every 8 seconds while they await a train. SF Beautiful and Scenic East Bay are leading efforts to halt the proposal and urge the public to contact BART Board members (before their May 8 vote) to share your concerns about this bad deal. A total of 18 digital advertising panels would be installed on the passenger platforms at Embarcadero, Montgomery, and Powell — stations already saturated with sheets of advertising applied to floors, columns, and ceilings. Additional money from digital panels would be miniscule — enough to run BART less than 11 hours per year. The Chronicle architectural critic John King says, “How gauche, dear BART,” yet the transit agency has received virtually no public feedback regarding the current proposal for the San Francisco stops. With enough advertisers and cheaper screens in the future, digital advertising panels may eventually appear throughout the entire transit system. SF Beautiful and Scenic East Bay urge you to contact the BART Board of Directors (boardofdirectors@bart.gov) prior to May 8 and to voice opposition to further blighting of the transit experience. It’s bad business.